Frances Eliza Hodgson Burnett (24 November 1849 – 29 October 1924) was a British-American novelist and playwright. She is best known for the three children's novels Little Lord Fauntleroy (published in 1885–1886), A Little Princess (1905), and The Secret Garden (1911).Frances Eliza Hodgson was born in Cheetham, Manchester, England. After her father died in 1852, the family fell on straitened circumstances and in 1865 immigrated to the United States, settling near Knoxville, Tennessee. 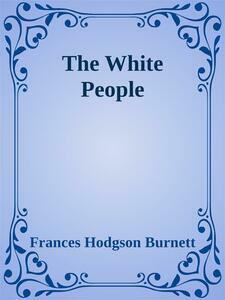 There Frances began writing to help earn money for the family, publishing stories in magazines from the age of 19. In 1870, her mother died, and in 1872 Frances married Swan Burnett, who became a medical doctor. The Burnetts lived for two years in Paris, where their two sons were born, before returning to the United States to live in Washington, D.C., Burnett then began to write novels, the first of which (That Lass o' Lowrie's), was published to good reviews. Little Lord Fauntleroy was published in 1886 and made her a popular writer of children's fiction, although her romantic adult novels written in the 1890s were also popular. She wrote and helped to produce stage versions of Little Lord Fauntleroy and A Little Princess.Burnett enjoyed socializing and lived a lavish lifestyle. Beginning in the 1880s, she began to travel to England frequently and in the 1890s bought a home there, where she wrote The Secret Garden. Her oldest son, Lionel, died of tuberculosis in 1890, which caused a relapse of the depression she had struggled with for much of her life. She divorced Swan Burnett in 1898, married Stephen Townsend in 1900, and divorced him in 1902. A few years later she settled in Nassau County, Long Island, where she died in 1924 and is buried in Roslyn Cemetery.In 1936 a memorial sculpture by Bessie Potter Vonnoh was erected in her honour in Central Park's Conservatory Garden. The statue depicts her two famous Secret Garden characters, Mary and Dickon.